It's that wonderful time of the year...where candles are always lit, friends come to visit, gifts are under the tree, and day drinking is acceptable (as long as you're baking while doing it). 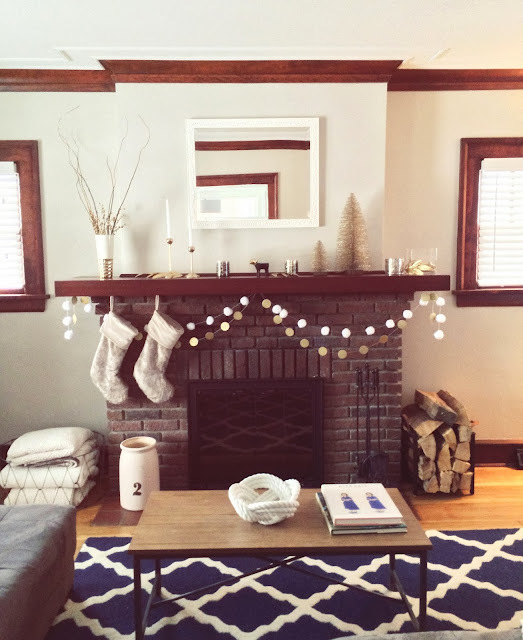 I'll be back on the blog in the new year, as I'll be spending way too much time in front of this fireplace. Wishing you all a merry and bright holiday season — cheers to the end of a wonderful 2013! That nautical rope bowl is FABULOUS! Well this whole scene is perfection actually :) Love your home! Have a Merry Christmas! Love your fireplace. Perfection.